The Shiawassee Regional Chamber of Commerce started this fund for the purpose of providing scholarships and/or support for educational programs and initiatives in our county. The Alford and Alice Emmert Youth Fund was established to promote education and training that promotes leadership for youth in Shiawassee County. The purpose of this fund is to fund activities, experiences, education, and training that promote leadership and advance learning in citizenship, academics, agriculture, natural sciences, music, and photography. This fund will support individuals and small groups striving for excellence in the above areas, as well as those with disabilities striving for skills. Funding requests will be considered from FFA, 4-H, Scouts, Farm Bureau, Society of American Foresters, Music/Band/Photography Clubs, and other academic clubs/groups and individuals/groups with disabilities. Excluded from consideration are programs designed as anti-drug, anti-smoking, teen pregnancy, athletics, programs that promote animal rights and environmental protectionism and preservationism, and any program developed and advocated by an animal rights group. Edward Fraiser was born in Syracuse, N.Y. on October 10, 1909. He resided most of his life in Owosso and married Claire “Ellie” Couture in Battle Creek on July 10, 1960. He was the owner and operator of Fraiser Painting and Decorating Company in Owosso for more than 40 years, retiring in 1980. He passed away on June 2, 1990, at Memorial Hospital. Edward attended First Congregational Church in Owosso, was a life member of BPOE Lodge 753, a member of the Owosso Eagles Aerie 851, and a member of the Owosso Country Club for over 50 years. In addition, he was a life member of Owosso Lodge #81 F. & A.M. and a former member of the Owosso Kiwanis Club. The interest from this fund is to be granted to philanthropic projects as determined by the Board of Directors of the Foundation. Gerald “Jerry” Gilbert inspired students for 25 years as a vocal music instructor at Owosso High School. Mr. Gilbert was regarded by his colleagues in the Michigan School Vocal Association (MSVA) for his masterful ability to develop and inspire members of Owosso High School’s renowned A Cappella Choir to consistently win highly prized state honors. Most of all, Mr. Gilbert is remembered by scores of Owosso High School alumni for his passion for music, for fun and entertainment and, most of all, his example of striving for excellence. Born in Traverse City, Michigan, Mr. Gilbert graduated from Central Michigan University with a BA degree and from the American Conservatory of Music in Chicago with a Master’s degree. He was the director of the Michigan Honors Choir and was voted Outstanding Music Teacher of the Year by the MSVA in 1970. Mr. Gilbert was a veteran of the U.S. Navy, serving in the Pacific in World War II. He retired from Owosso High School in 1978 and passed away at the age of 63 in 1988. Mr. Gilbert was choir director of the First United Methodist Church in Owosso for 19 years. He was a member of the Owosso Public Schools Teacher Negotiating Team for the Owosso Education Association and helped write the first teacher contract. This endowment fund was established in November 2013 by Mr. Charles (Chas) Lyons, who was born and raised in Owosso and who graduated from OHS in 1964. He graduated with a Master of Arts degree in Journalism from Michigan State University. His newspaper career began as a reporter for the Argus Press in Owosso and continued with positions from editor to marketing director to publisher and CEO in Michigan, Texas, South Carolina, Virginia, New Jersey, Washington, Maryland, and Washington, D.C. Chas worked for the Washington Post Company for 19 years, serving as Chief Executive Officer of the Post-Newsweek Media, Inc. division. He was active in community service, including serving as Chairman of Strathmore Hall during its construction of a Music and Arts Education Center in North Bethesda, Maryland that features a renowned 2,500-seat concert hall. He was president of the A Cappella Choir in 1964 and was inducted into the Owosso High School Wall of Honor in 2013, citing Jerry Gilbert as a major influence in his life while growing up in Owosso. Chas currently resides in Oxford, Maryland. The purpose of this fund is to memorialize the legacy of Gerald Gilbert by awarding grants to organizations for projects and programs that will benefit youth in Owosso. The Ryan Jones Memorial Fund was established in December of 2013. Ryan, who was co-owner of TiAL Products in Owosso, passed away at the young age of 43 on October 1, 2010. He graduated from Corunna High School in 1985 and enjoyed working side by side with his brother, Gregg. He also enjoyed cars and snowmobiles. The purpose of this fund is to benefit patients who suffer from Amyotrophic Lateral Sclerosis (“ALS”) by providing services to improve their quality of life. The fund also benefits animal welfare organizations in Shiawassee County, including but not limited to the Shiawassee County Humane Society, with a preference given to providing safe, humane, and comfortable care and treatment options for cats. The fund may also fund “catch, spay/neuter and release” programs for feral cat colonies. In 1998, Memorial Healthcare and Memorial Healthcare Foundation elected to establish this field of interest fund at the Shiawassee Community Foundation. The mission of this fund is to provide support for health education activities and programs proposed by other community organizations that are designed to enhance community health and wellness. Helen Montgomery Moore established this fund to support conservation, recreation, the arts and children or individuals with special needs. The Montgomery Family Fund especially honors her father, Allen Montgomery, who was an Owosso High School biology teacher. He will always be remembered by his students as a tennis enthusiast who always carried tennis racquets in the trunk of car and would provide one to any student showing interest. The tennis courts at Emerson School in Owosso are named after Mr. Montgomery.  In 1998, the Cook Family Foundation established this endowment fund to provide materials and supplies to volunteer groups who commit to repair or enhance public playgrounds and other recreational facilities for youth in Shiawassee County. The Shiawassee Hunger Network has partnered with the Shiawassee Community Foundation to ensure the sustainability of this program after the Shiawassee United Way was consolidated with the United Way of Genesee County. Contributions to this fund stay in Shiawassee County to serve thousands of local children and adults. For every $1 donated, Hunger Network pantries provide one meal for a family of four. Food pantries are located in Owosso, Corunna, Durand, Vernon, and New Lothrop. The Shiawassee Postsecondary Access Network (SPAN) was founded in 2012 as a result of the foresight and dedication of community and civic leaders who believed that no individual should be denied an education beyond high school. SPAN aims to make higher education a reality for Shiawassee County students who dream of a postsecondary education and work hard to get it. The purpose of this fund is to support the efforts of SPAN in perpetuity. This fund is used to support charitable, scientific, literary and educational purposes as will best enhance the well-being of the residents of Shiawassee County as approved by the Shiawassee Community Foundation Board of Directors. Mackenzie was born in Owosso, Michigan, the daughter of George and Laurie Watts. Mackenzie made the people and world around her better. She was a friend to all who knew her, and the impact of her life extended far beyond those. Whether she was in the classroom, at church, in the pool, or singing in the choir, Mackenzie approached life with such heart that an entire room would smile at her presence. A natural leader, Mackenzie was constantly supportive of her peers in any situation. She could be counted on for sound advice, words of encouragement, or an open ear. She was sincere, welcoming, and lived every day with an enthusiasm only matched by her trademark smile. Mackenzie was also a hard worker, determined to give it her all until her goals were accomplished. She faced every new challenge, tackled every new problem, and climbed over any barrier with joyful optimism and full commitment. Mackenzie was a true role model and set an example for others to strive for. Coaching young children, mentoring teammates, modeling dedication, piety, compassion and determination, Mackenzie, in her fifteen years on earth, demonstrated a life we should all try to emulate. Scholarships are awarded to seniors in good standing from a high school in the Howell Public School District. Applicants must be in good standing/credit eligible for commencement and diploma from Howell Public Schools. Grade point average must be a “B” or better (3.0 or higher). Proven record of community service, leadership roles in school organization or team (school organization officer, student council or team captain). Three scholarships are offered from this fund: 1. Choir Scholarship – (male or female student) – Varsity choir member with a minimum of three years participation in the choir program. 2. Soccer Scholarship – (male or female student) – Varsity soccer team member with a minimum of two years participation on the soccer team, one of them being their senior year unless a medical/physical condition prohibits participation senior year; then only the senior year participation requirement is waived. 3. Swimming/Diving Scholarship (female student) – Women’s varsity swim team member with a minimum of two years participation on the swim team, one of them being their senior year unless a medical/physical condition prohibits participation senior year; then only the senior year participation requirement is waived. This fund was started by Debra’s husband (Dr. Patrick Wegman) and son (Patrick Wegman, II) on the 10th anniversary of her passing as a way to commemorate her life and give back to the community that has nurtured their family for so many years. Dr. Wegman has been practicing dermatology in Owosso since 1984, a practice his wife Debra helped to establish. Patrick Wegman, II was a member of the Youth Advisory Council, a youth philanthropy and service organization overseen by the Foundation. He currently serves as Vice President of the Foundation’s Board of Directors. In addition to offering a scholarship and operating funds for the Foundation, this fund also provides a grant for local organizations. Grants may be awarded to 501(c)(3) non-profits, schools, municipal organizations, health and human service organizations, or governmental entities. Preference is given to programs focusing on healthcare, education, arts and theatre, community improvement, ministry and spiritual enrichment, beautification projects (especially water-related projects), youth programs, senior programs, or other unmet charitable needs. This fund was established by Diane (Woodard) and Rob Collier as a way to remember Diane’s parents, Russell and Annabelle. Russell was born on October 23, 1910 in Owosso, the son of Mr. and Mrs. Lee L. Woodard. He attended the Owosso grade schools, Principia Upper School and Principia Junior College in Missouri, received his AB degree from Dartmouth, completed two years of graduate work in law and one year in business at the University of Michigan. He was married to Annabelle Mosher in Owosso on January 4, 1944, and together they had three children, Lee, Sharon and Diane. Annabelle was born on January 18, 1925 in Owosso. She graduated from Owosso High School in 1943 and was a homemaker and formerly worked with Principal College in Elsah, Illinois. The purpose of this fund is to be used to benefit family, youth, beautification, and preservation projects in Shiawassee County. In 1998, the Council of Michigan Foundations (CMF) and community foundation members developed a proposal to the W.K. Kellogg Foundation for the Michigan Community Foundations’ Youth Project (MCFYP). Their efforts meant to do the following: Expand the areas served by community foundations in Michigan so that every citizen would have access to a philanthropic vehicle, strengthen existing community foundations, and involve youth in community foundations through the creation of Youth Advisory Committees (YAC). The Youth Advisory Council meets monthly during the school year. They review and recommend grants to the foundation’s board of directors. Grants are awarded to support projects that focus on program activities in the arts, education or recreational fields, as well as health and human services. The Youth Advisory Council is well-respected for being community-oriented and willing to volunteer for various community events. This fund was established by a bequest from the late Frances L. DeVries. Mrs. DeVries and her husband, the late Jospeph DeVries, DVM, were well known throughout Shiawassee County as avid animal lovers. She was born on September 30, 1911, in Howell, Michigan. Fran, as everyone called her, graduated from Michigan State College in 1932 with a degree in social work. She and Joseph “Jack” were married in Honor, Michigan, on July 28, 1933. Moving to Owosso in 1936, Fran and Jack set up his large animal practice on Main Street, treating horses and other large animals in town and throughout the county, eventually moving their practice north of town and concentrating on small animals. Those were the days when sleighs would be driven through Owosso in winter and horses were kept in town. Fran worked side-by-side with her husband in their veterinary practice, assisting in surgery, handling the books and not leaving the office until her husband did each night. Having been raised by her businessman father since the age of 8, when her mother died, Fran became an astute businesswoman and managed their veterinary practice and other business affairs with great relish. She was, in many respects, a woman far ahead of her time. An avid animal lover, Fran was the inspiration behind the Shiawassee Humane Society for many years, running it out of their office until the building was built on Bennington Road. She was active for many years on the Salvation Army board and she also was involved with the Red Cross. Sharing her husband’s love of horses, Fran was an announcer for the Saddlebred Horse Shows at the Michigan State Fair. She organized many horse shows in Shiawassee County and traveled with Jack as he showed horses. The DeVries were founding members of the Michigan Horse Drawn Vehicle Association, as well as members of the American Saddle Horse Association and the Michigan Horse Show Association. She was a member of the First Congretional Church. Fran loved music of the big band era and took great pleasure in playing the organ by ear. She especially enjoyed duets with friends on the piano and frequently provided organ accompaniment at horse shows. After retirement, she proudly skippered her 46-foot cabin cruiser on Lake St. Clair and loved every minute spent on the water. If you asked Fran what she considered her greatest accomplishment in life, she would unhesitantly tell you it was her 67 year marriage to her husband, Jack. Throughout their lives, they were at each others side, no matter what the undertaking. In the lexicon of their many friends, “Fran and Jack” was one word. Their deep and abiding love for each other was an inspiration to all who knew them. Nothing was better than simply being together. The purpose of this fund is to provide income for the operations of the DeVries Nature Conservancy in perpetuity. This fund was established by Durand Union Station as a way to help support their long-term financial objectives. This endowment fund was established by the Durand Area Schools Educational Foundation to provide income and long-term protection for their Foundation. This fund was established by the Michigan State Trust for Railway Preservation – Project 1225 as a way to help support their long-term financial objectives. Mr. Alvin Honke left a bequest to the Shiawassee Community Foundation to establish the Owosso Citadel of the Salvation Army Fund. This permanent endowment fund will be used to support the Owosso Citadel of the Salvation Army in perpetuity. This fund was established to support the Owosso High School Instrumental Music Program. This fund was established to supoort the Owosso High School Vocal Music Program. Mr. Russell Osborne started this endowment fund in remembrance of his wife, Gweneth. He wanted her legacy to live on and decided to start this fund that will benefit Respite Volunteers of Shiawassee in perpetuity. Gweneth was born in 1927 in Markle, Indiana. She attended school in Huntington, Indiana, and then completed her studies in extension groups from Michigan State and the University of Indiana. On March 21, 1948, she married Russell. She belonged to the Sara Rebekah Circle at the First United Methodist Church of which she was a member. She enjoyed being involved with music, photography and gardening. She loved spending time with her children and grandchildren. This fund was first started after Ruth Weston passed away in October of 2003. She left a bequest to the Shiawassee Community Foundation to start an endowment fund to benefit the Shiawassee County Humane Society. Another bequest was received after Frances DeVries passed away in 2005. Several donations have been received from several other donors throughout the years. Grants from this fund are awarded to the Shiawassee County Humane Society to help support their long-term financial objectives. This fund was orginally started in January of 1991 as the Shiawassee ISD Educational Foundation Fund. The fund name changed when the Shiawassee ISD became the Shiawassee RESD. The purpose of this fund is to assist in accomplishing the corporate duties and its mission to support the educational projects and progams of the RESD. 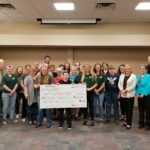 This endowment fund originally began in October of 1991 as the Radant Memorial 4-H Scholarship Fund in memory of Stella Radant who was a 4-H Leader specializing in the personal appearance area for 35 years. Stella’s daughters, Ginny Burns and Sharon Marsh, decided to change the purpose of the fund as the personal appearance category is no longer a very active part of 4-H. They decided to change the purpose to benefit the Shiawassee County Historical Museum in perpetuity. Stella Radant worked as a salesperson at J.C. Penney and Montgomery Wards for many years. She was born October 8, 1905, in Clinton County. She attended Elsie Schools and resided most of her life in Fairfield Township and the Owosso area. On December 23, 1922, she married Edward Radant. 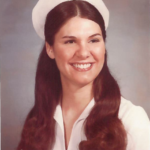 In addition to being an active leader of 4-H, she was also a 4-H council member, was very involved with the Shiawassee County Fair with the 4-H Chicken BBQ and worked in food preparation for the 4-H food booth at the fair, was a State Exchange chaperone and belonged to the Memorial Hospital Auxiliary. In addition, Stella was on the school board for Goss School (which was on Juddville Road just east of North M-52) in Rush Township. The Shiawassee County Historical Society was founded on May 24, 1963 by several citizens concerned with the preservation of structures, documents, historical sites and equipment relating to the settlement, culture and growth of the Shiawassee County area. The society is a 501 (c) 3 organization, supported by annual dues of the membership, donations and the sale of booklets and calendars of local interest. In April 2002, the Green Meadows School (on M-52 at Wilkinson Road) was purchased from the Owosso Public Schools. Until that time, there was no real place to display the many items the society had accumulated. After much renovation by society volunteers and various civic groups (notably the Kiwanis Club), the museum opened to the public in May of 2005.